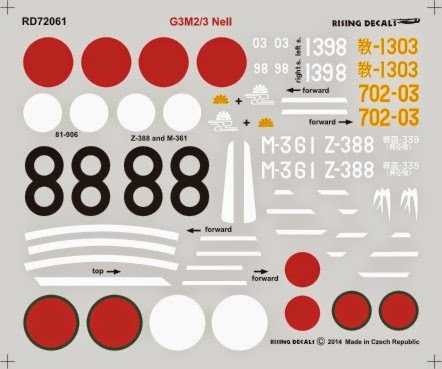 The prolific Rising Decals have issued further sets of interest to Japanese aviation enthusiasts, both as decals and resin accessory parts. G3M3 702-03 of the 702nd Ku during the battle for Okinawa - in green over grey with a kikusui - 菊水 floating chrysanthemum - emblem on the tail fins. This emblem is symbolic of the 14th Century Samurai Masashige Kusonoki whose qualities were loyalty and fearlessness of death. The term was used as the code word for a series of large scale special attack (kamikaze) operations against US warships off Okinawa. 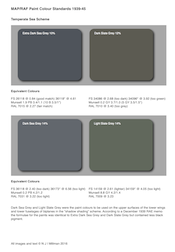 The brown colour in these schemes is suggested to be mixed using GSI Creos ('Gunze') primary paints in the ratio 40% # 7 Brown + 30% # 4 Yellow + 30% # 6 Green. I haven't tried this mix but presume it comes from Hasegawa instruction sheets. The vexing subject of IJN browns was covered here, here, here, here, here, here and here (!) 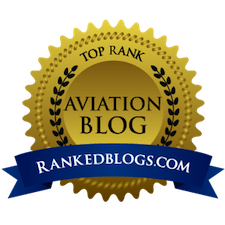 in the early days of this blog and probably warrants re-visiting and consolidation into something more, er, user friendly. RD Acr-004 is an extensive resin set designed to convert the 1/72 Revell kit of the Junkers F-13 into the Nippon Koku Yuso Kenkyujo (NKYK - Japan Air Transport Research Association) floatplane J-BAZG which was featured in Rising's RD-72-062 J-Birds Pt.III. NKYK was founded in June 1922 by Mr Choichi Inouye of the Itoh Flying School. It was based on the beach in the Osaka suburb of Sakai and initially operated 10 Yokosho floatplanes bought from the Japanese Navy, providing passenger services to Tokushima in Honshu and to coastal resort towns on Shikoku and Kyushu. In January 1928 NKYK introduced two Junkers F-13's for the coastal routes. 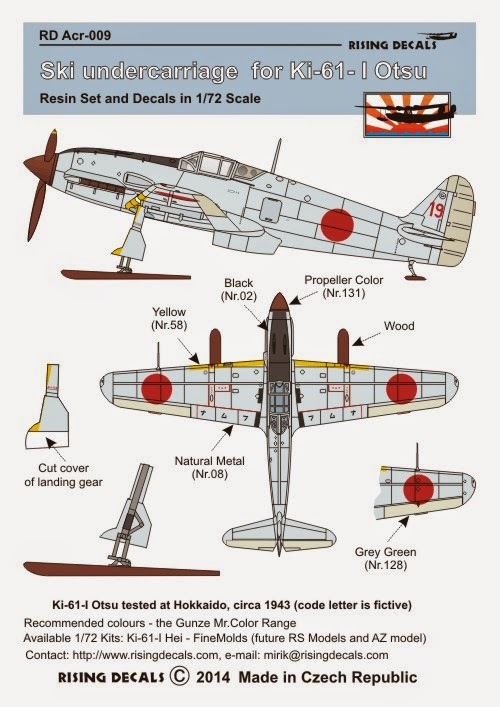 However, according to the Japanese Civil Register J-BAZG was operated at Sakai by the Teikoku Kaibo Gikai (Imperial Maritime Defence Volunteer Association) and the Junkers aircraft operated by NKYK are listed as J-BBEO and J-BBGO. The conversion parts are finely moulded in a grey-green resin and consist of a new upper fuselage, lower cowling, exhaust stack, ailerons and complete tail unit, together with an errata decal sheet of two white 'J's for the tailplanes. A striking model should ensue. Next are two sets very much for the Tony enthusiast who already has everything. RD Acr-005 and RD Acr-009 provide resin ski undercarriages in 1/72nd scale for a dark green Ki-61-I Hei with white tail number '15' and natural metal Ki-61-I Otsu with red tail number '19' respectively, both at airfields in Hokkaido circa 1943. 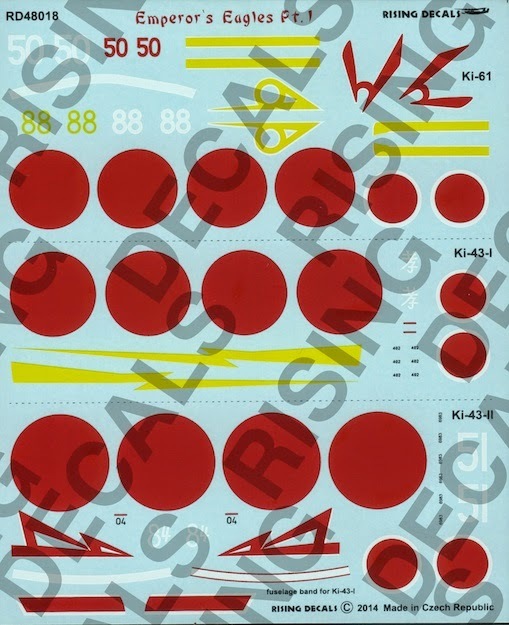 Each set comes with a small decal sheet of Hinomaru and the tail numbers. These sets are designed to be used with the excellent Fine Molds kits or the announced but not yet released RS and AZ Models kits. The old Hasegawa kit, still re-appearing from time to time with new decals, represents a Tei and the Dragon kit, which was explored here and here, is something of a hybrid. Still, if you happen to have it in the stash it is not nearly so bad as some people make out. 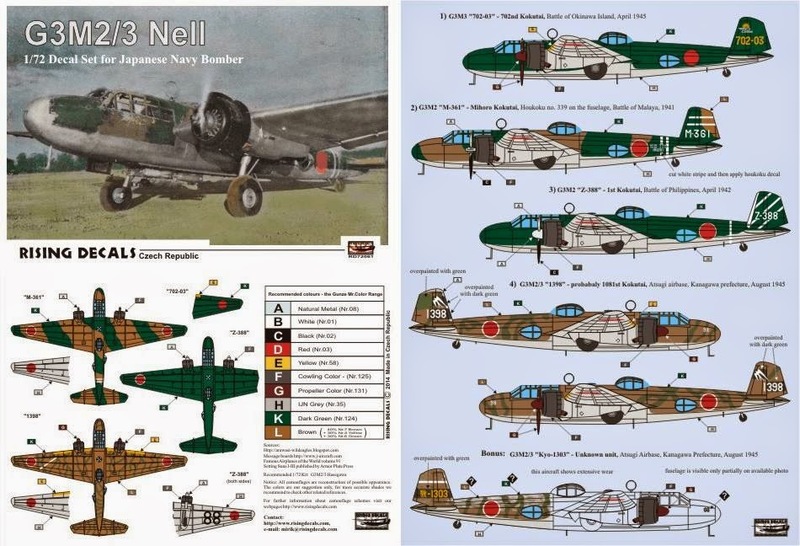 RD Acr-007 is an accessory set which provides a quartet of resin IJN Type 3 No.1 Mk.28 Model 1 (Rocket) Bombs and their launch rails to hang under the wings of a Yokosuka D4Y2/D4Y2-S 'Judy', including decals for two examples from the 131st Kokutai at Kanoya, Japan in 1945 with the tail codes 131-151 and 131-56. Ki-43-I of 2nd Chutai, 50th Sentai in NW Burma, December 1942 - as flown by M/Sgt Chikara Kotanigawa who crashed this aircraft named takashi (孝 - filial piety) behind British lines in the Chittagong hills on 15 December 1942 after accidentally hitting a tree during the very low-level pursuit of a Hurricane IIc flown by PO Gray of 79 Sqn RAF. 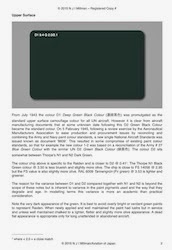 Ki-43-II '51' of 2nd Chutai, 25th Sentai at Hankow, China in Spring, 1944 - green with darker green or brown mottle - as flown by WO Iwataro Hazawa who claimed 15 victories. 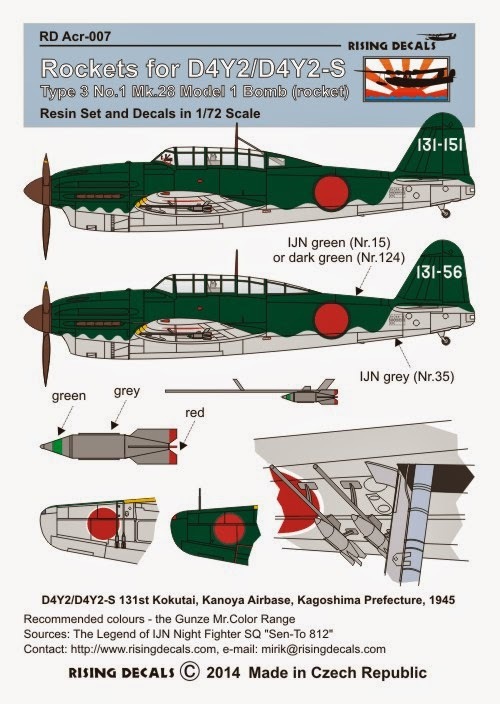 The reddish-brown mottle applied to some aircraft by the 25th and 85th Sentai in China often looks darker than the green in monochrome photographs. Only the main features of each sub-type are remarked above but not all the additional detail changes. 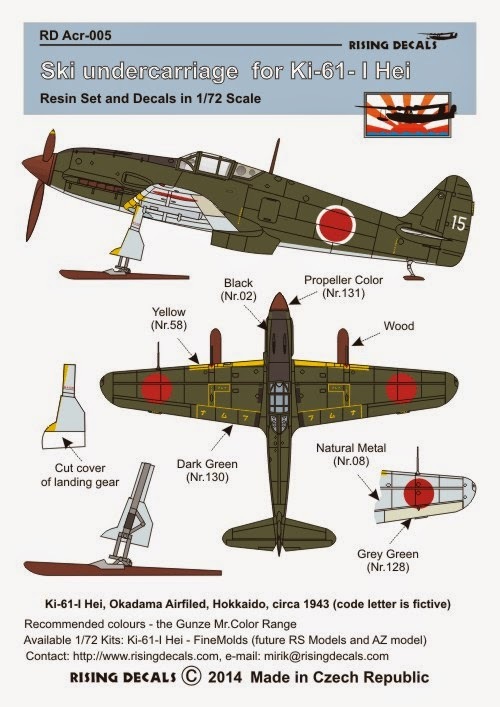 There are actually four distinctively identifiable versions of Ki-43-II prior to II Kai with one researcher referencing designations of Ki-43-IIa early, Ki-43-IIa late, Ki-43-IIb early and Ki-43-IIb late. This divides the mid-production into IIa late and IIb early. 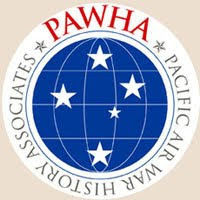 The official IJAAF table of aircraft designations makes no such distinctions, just referring to Ki-43-II and listing the differences simply as production changes but unfortunately does not date them precisely or provide the serial numbers for first change. 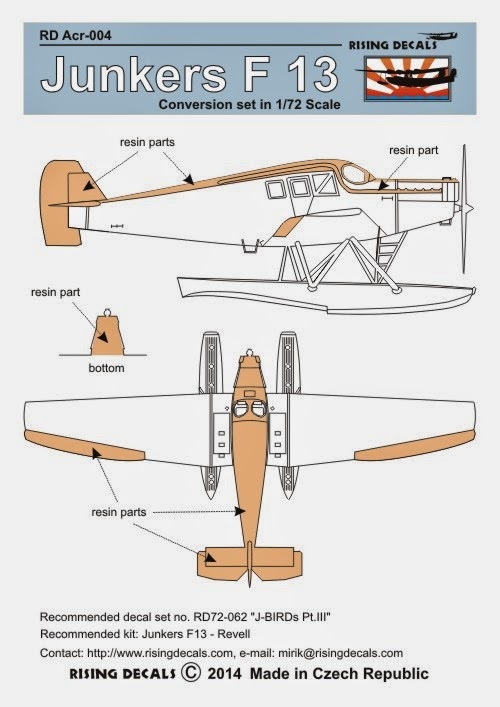 Many references, even Japanese, incorrectly attribute the shortened wingspan from the first introduction of the II series, whereas the first production II retained the long wingspan of the I. Digression over! Ki-61-I Ko of 2nd Chutai, 68th Sentai, New Britain, 1943 - a well known aircraft attributed to Cap Shogo Takeuchi. It might have been flown by him at one time, probably with a red fuselage band that was subsequently over-painted in white and not as shown on the decal sheet with blue borders (for which thin blue decal strips are included). An alternative scheme for a 248th Oscar in green with large brown blotches using the decals for subject 3 is also depicted. 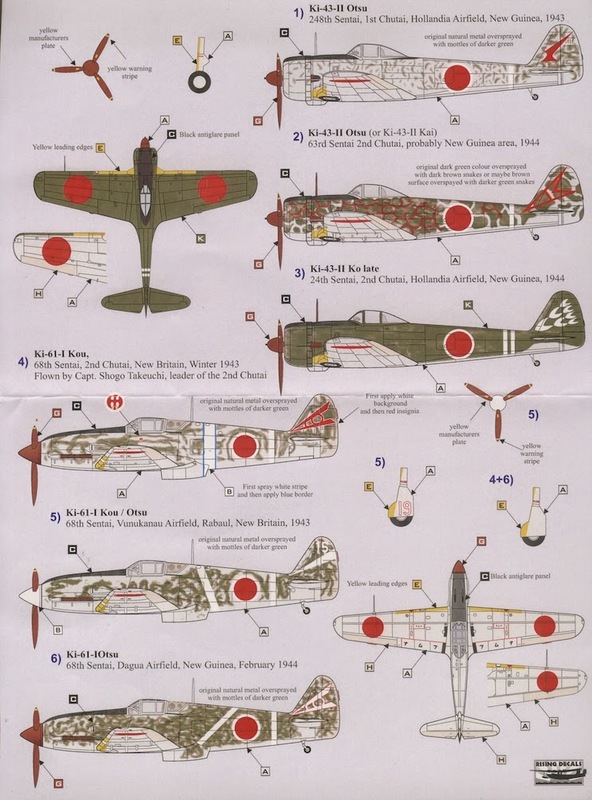 Hinomaru for one Ki-43-II and one Ki-61 are included. Although not apparent from the scans here the yellow is the correct deeply saturated colour and not the lemon yellow printed on some decal sheets. 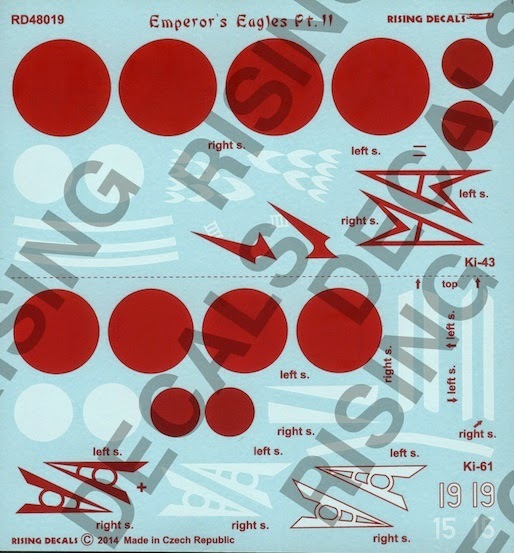 As well as providing suitable alternative schemes for Hasegawa or Fine Molds kits both sheets offer excellent and useful decals to dress up older kits such as the Otaki/Arii Ki-43 and Ki-61 and are highly recommended. Special thanks to Mirek of Rising Decals for kindly providing samples of these new products. Wow! What a haul of goodies and what great choices. And it's a good idea to get what you want of this bunch as their production runs / windows can often be short. 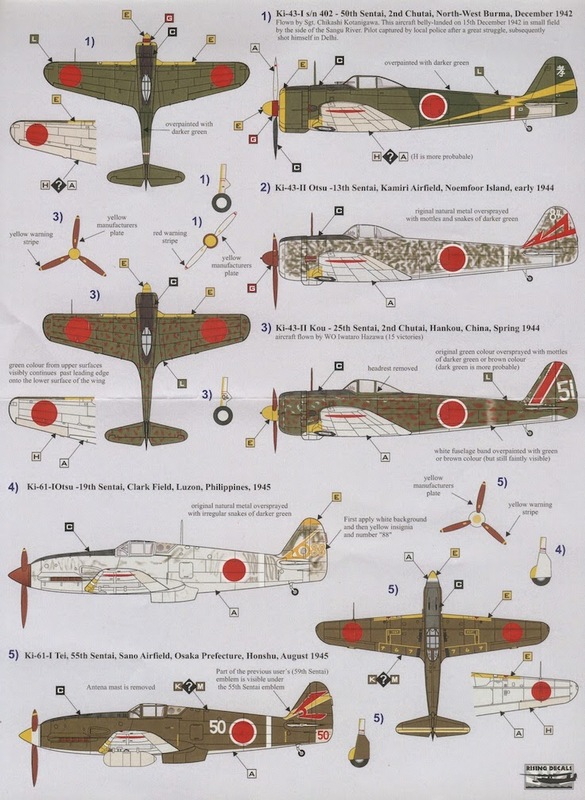 I think this company and Life-Like generally make the best decals for Japanese subjects. Do you have any info on the civil use of the Junkers, Nick? 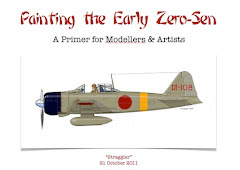 I have added a little more information about the Junkers F-13 to the blog. 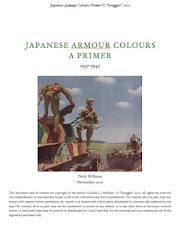 Thank you very much for the information, Nick, in particular the Ki-43 production differences and denominations. Very interesting also the alternate scheme for the 248th Sentai since I have the 1/72 version of the decal and didn't include it.